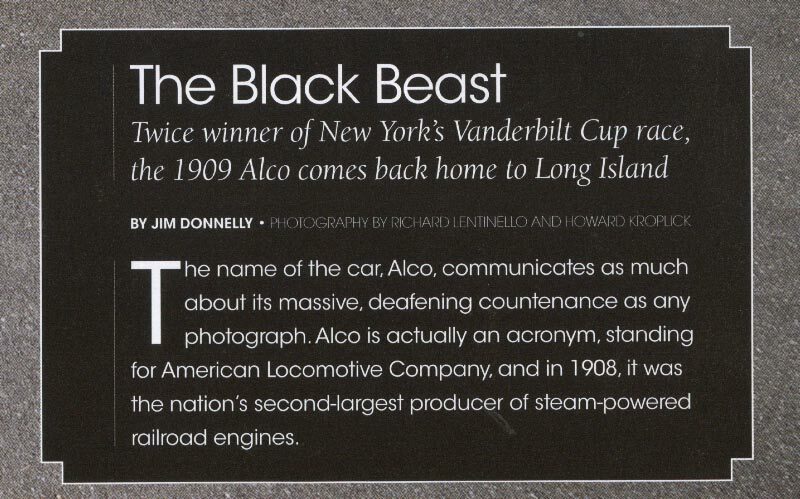 The special commemorative January 2013 issue of Hemmings Classic Car includes an article on the Alco Black Beast by Senior Editor James Donnelly with photos by Editor-In-Chief Richard Lentinello. Here are a preview of the photos and capions used in the article. 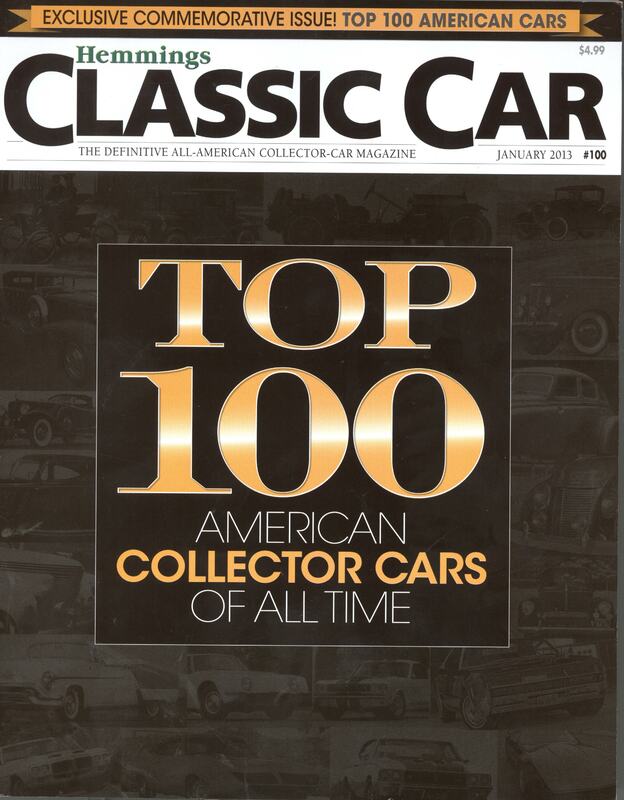 The January 2013 Hemmings Classic Car is its 100th issue This commemorative issue provides a ranking of the "Top 100 American Collector Cars of All Time". 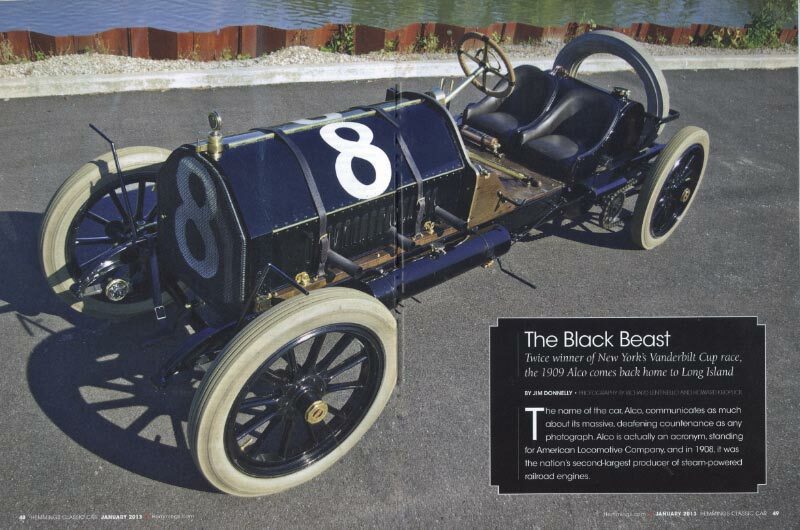 The article on the Black Beast is a special feature. 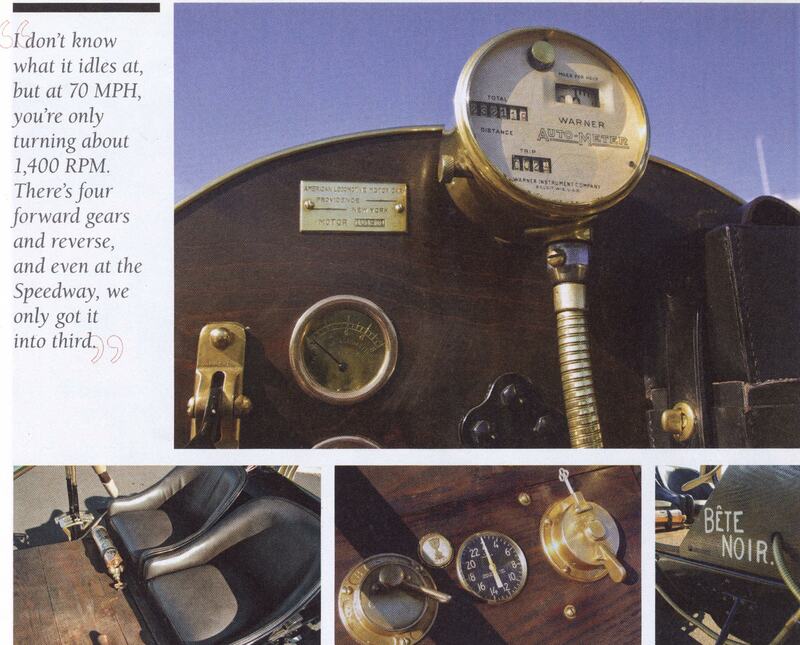 "The mechanician works a pump to maintain fuel pressure." 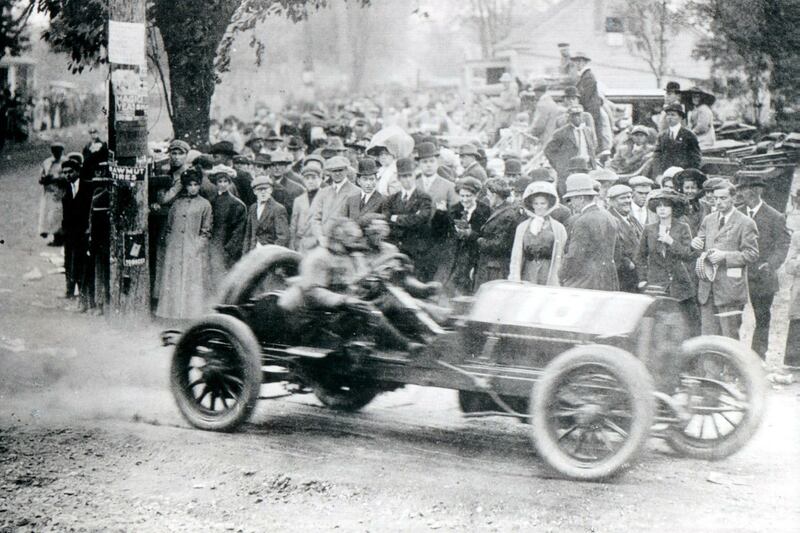 "It rockets along during the early Vanderbilt Cup on Long Island." 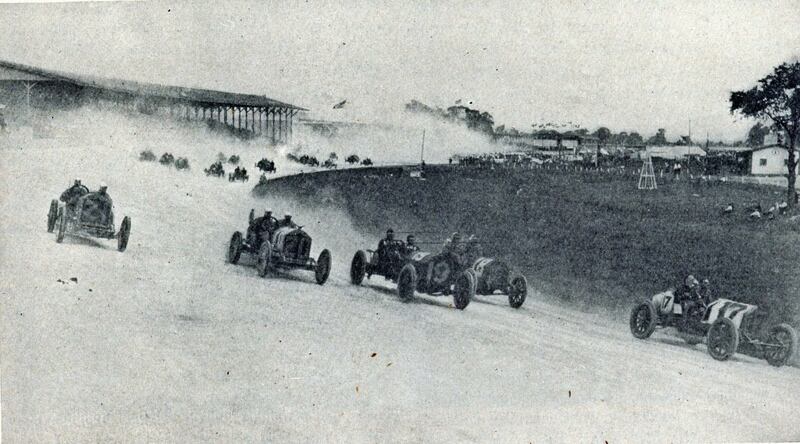 "The Black Beast , number 19, is at the front of the rolling start during the inaugural Indianapolis 500 in 1911." 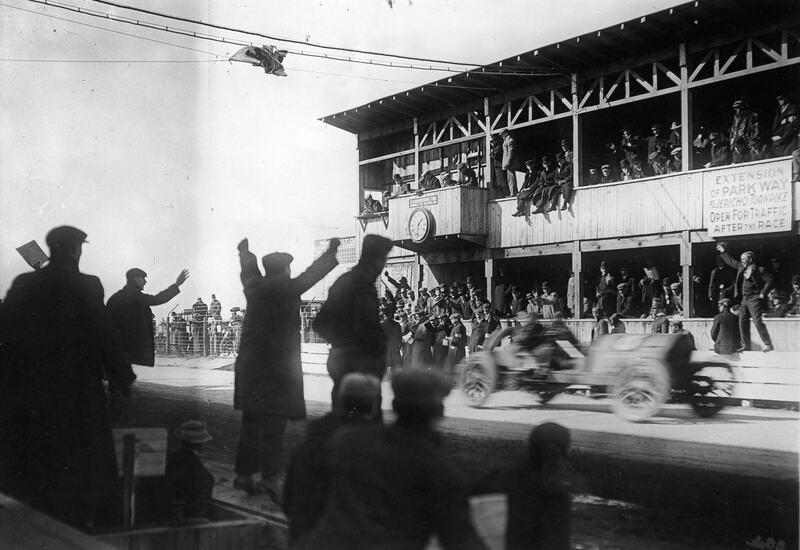 "I found the Black Beast for sale in Brussels at a vintage car dealer...Then I went over to Belgium and saw the car in his showroom. I knew it was coming back with me." 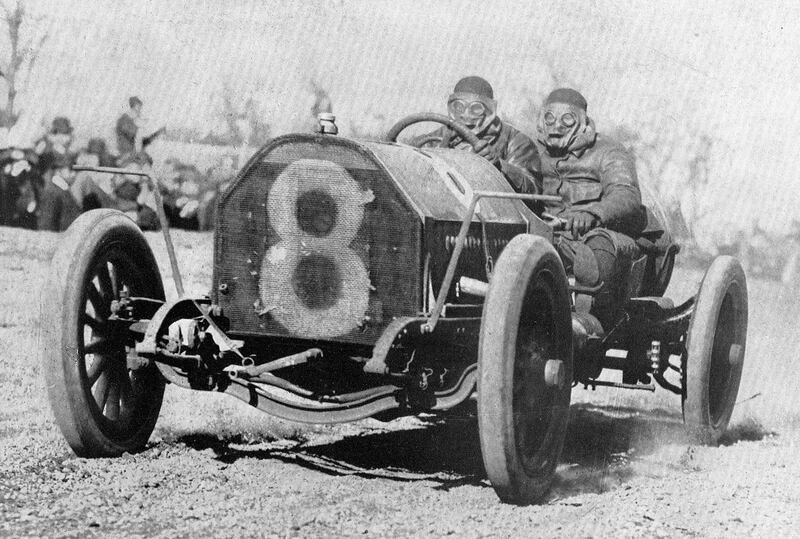 "Everything about the Alco racer is massive. Bosch-ignited T-head straight-six displaces 680.6 cubic inches. 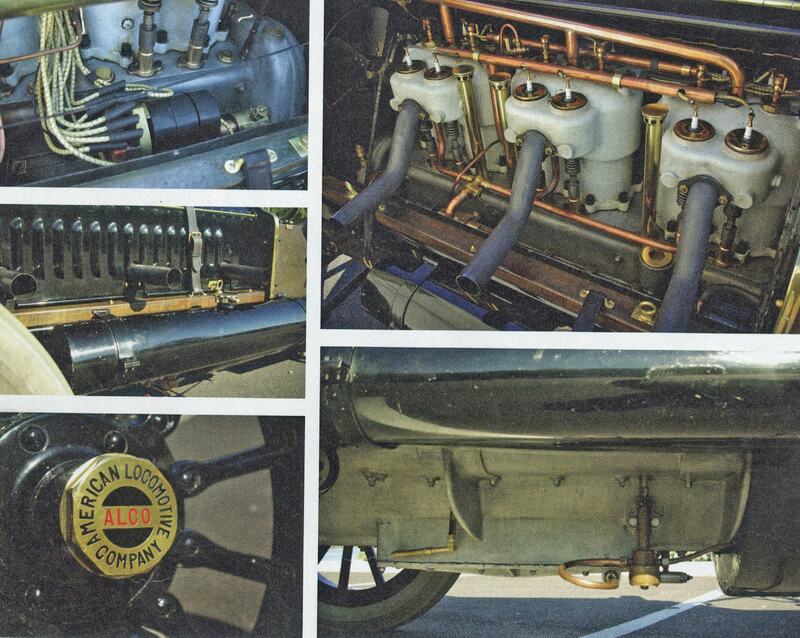 The crankcase and oil reservoir rivals a septic tank in size." 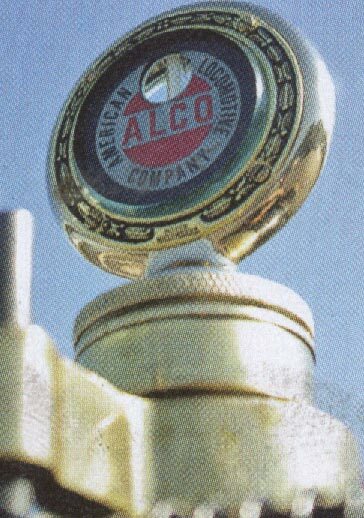 "Alco built its cars like, well, locomotives. Everything about the Black Beast is big and brutal." 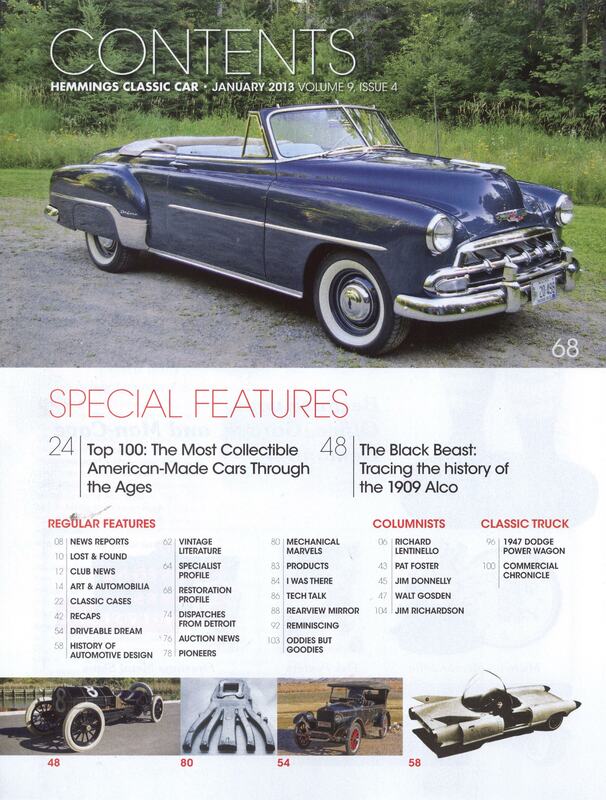 I saw the article in “Classic Car” and it was terrific. Nice job! Well deserved recognition…..And what a find Brussels !! 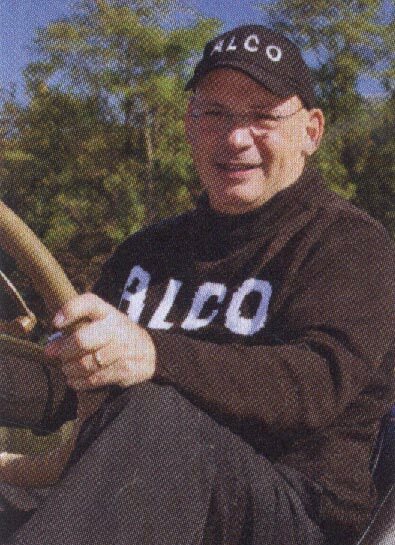 I don’t know if you’ve told the whole story here about your hunt and discovery of the black beast but I will check the archives for it…. Pourquoi est la běte noir(e) bleu, Howard? Il est noir .. juste une réflexion, Richard. Merci!